Two Sided Faux Fur Wolf Themed Blanket - Oversize Queen - 79" x 96" | BUDK.com - Knives & Swords At The Lowest Prices! Two Sided Faux Fur Wolf Themed Blanket - Oversize Queen - 79" x 96"
Feel the call of the wild and relaxing warmth when you’re wrapped snugly in the striking Two-Sided “Lone Wolf” and “Wolf Pack” Oversize Queen Blanket. 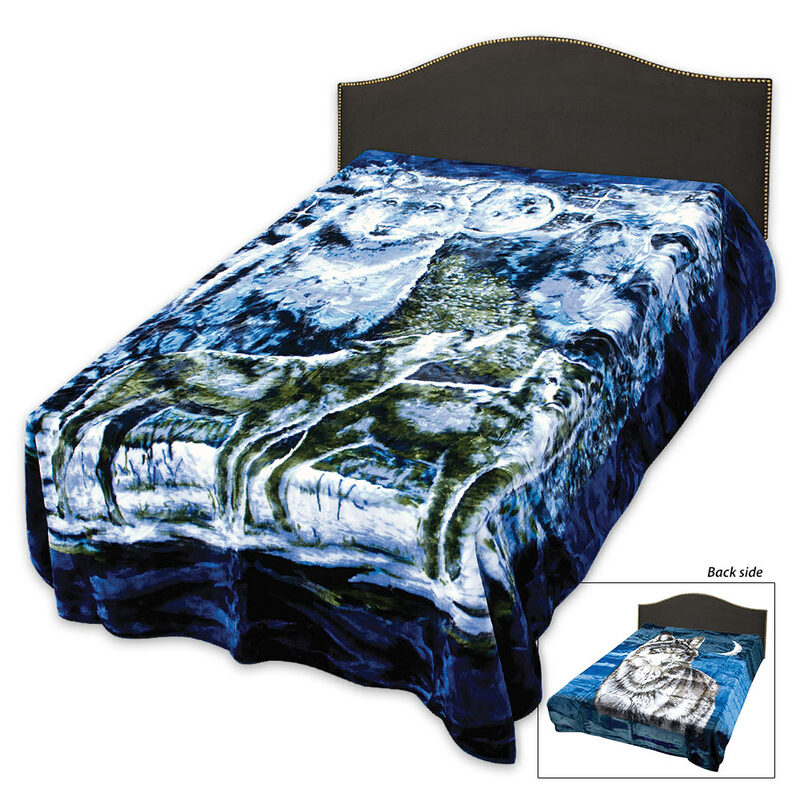 Each side of the blanket features a distinctive wolf-themed image. Exquisitely detailed with mellow textures and delicate shading, one side depicts a lone wolf below a crescent moon, his piercing eyes ever-gazing. 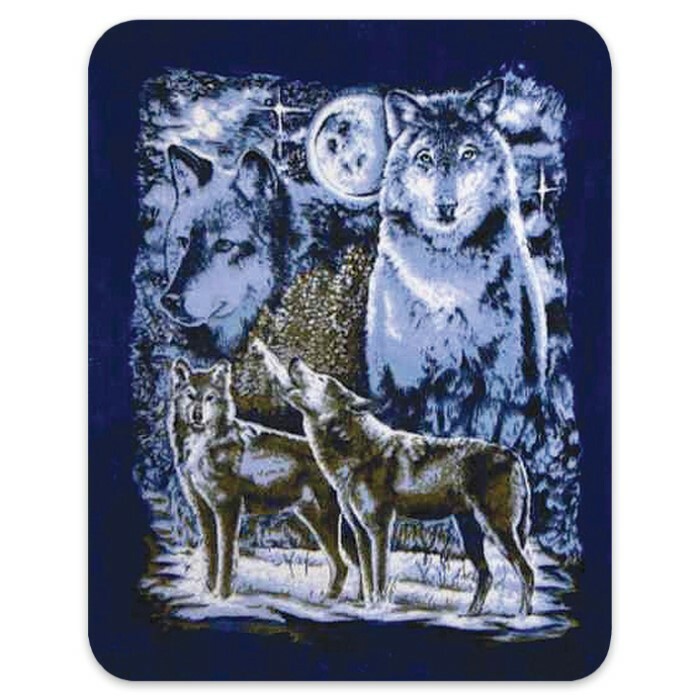 The reverse shows a wolf pack howling at a luminescent full moon, against a mystical dreamscape background. Made of plush faux fur, this luxurious blanket is soft and cozy - perfect for snuggling under on cold nights. It measures 79" x 96" - "oversize queen" - and comes in a heavy duty zippered shoulder bag that's easy to carry. Best of all, it's durable and simple to care for, ensuring a long life of warmth and comfort. 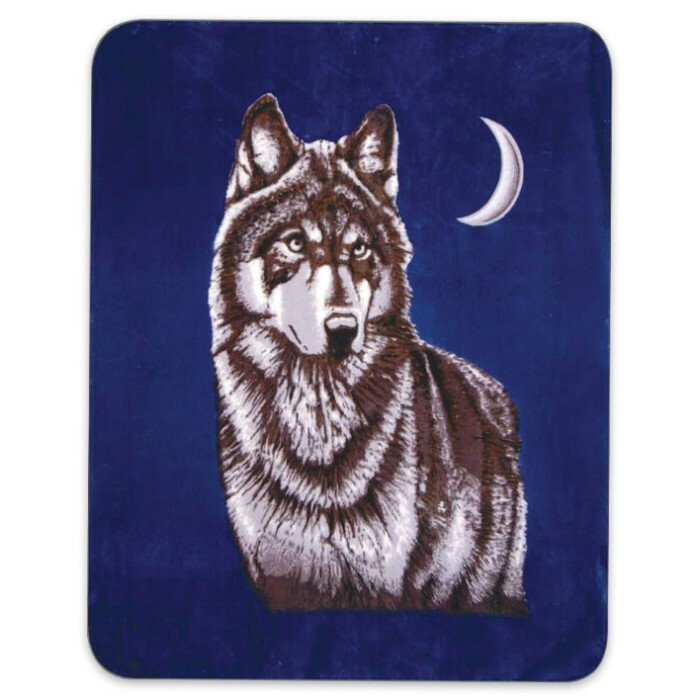 This handsome blanket’s stunning two-sided wolf artwork also makes it ideal for display on a couch, chair, quilt rack or wall.